Built for harsh environments including rooftops, warehouses and factories. Powered by a LiFePO4 battery and comes with a weatherproof IP67 rating. 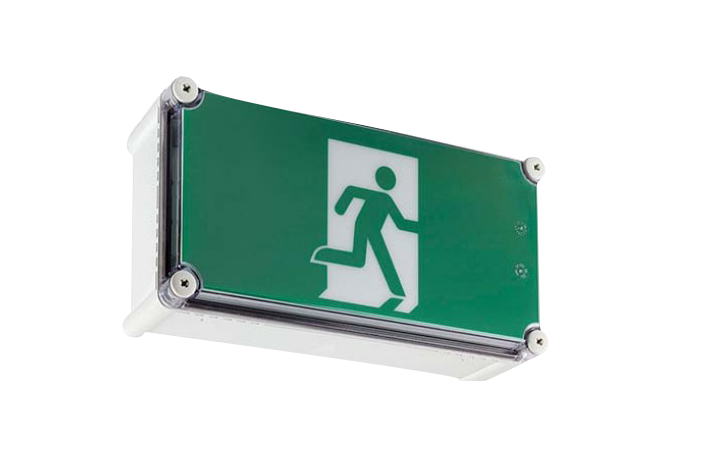 EXBOXWPL is a heavy duty weatherproof exit with an IP67 rating that assures extra protection against both dust and water ingression. This robust design also makes it vandal-resistant and suitable for outdoor areas exposed to the public. Maintained or non-maintained emergency operation available with opal diffuser (part number DBOXWPOL).